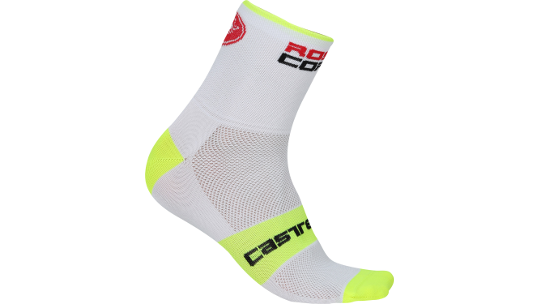 The Castelli Rossa Corsa 6" sock provides maximum comfort with a minimalistic design for those that prefer the shorter look. 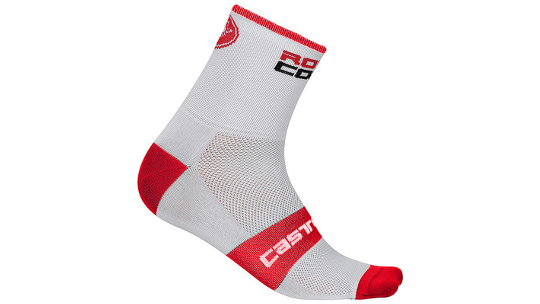 Built with Meryl Skinlife® yarns that have bacteriostatic properties the Rosso Corsa maintains a fresh and clean feel throughout your ride. 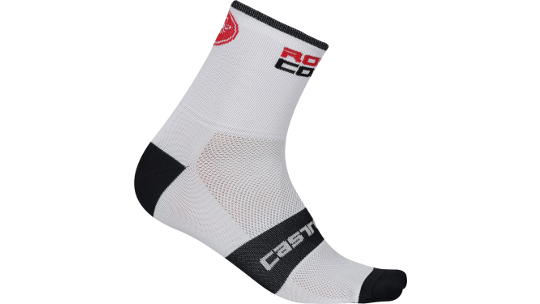 The compression cuff at the top of the sock ensures a great fit as well as providing a smooth feel that is comfortable as your foot moves through the pedal stroke. 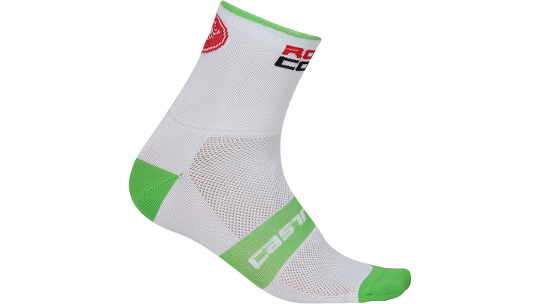 Finally, a mesh construction helps to regulate the temperature of your feet, even in hot conditions.